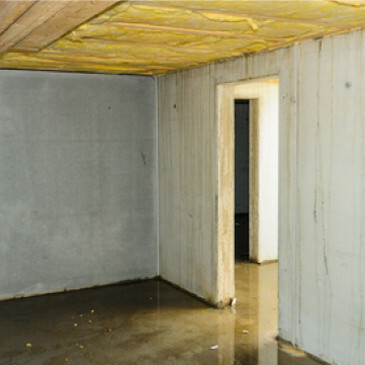 Basement flooding, leaks and humidity make this area particularly vulnerable to mold growth. A musty smelling basement, cellar or crawlspace often means mold and mildew, which can result from water leaks, flooding and/or basement humidity. In other cases, those same musty, moldy odors can signal foundation issues. Learn how to remove mold in the basement using Concrobium on walls, flooring, carpets, furniture and behind walls. 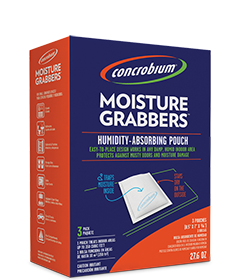 Once your mold has been defeated, keep these areas dry by using Concrobium Moisture Grabbers or Concrobium Moisture Grabbers XL. Concrobium Mold Control is great for eliminating odors and odor causing particles in carpets. If you suspect mold in your carpet, you should pull it back to see if mold is growing on the subfloor and underpadding as well. Once you have access to the mold, apply Concrobium Mold Control as a thin, even layer over the affected surface and allow to dry. In any case, as a final step, ensure that Concrobium is the last product applied to the surface to ensure the moldy barrier remains intact to prevent from future mold. NOTE: Using a HEPA vacuum after successful treatment and complete drying of your carpeted area is a great way to clean up and remove dead mold spores that may be deeply embedded within the fabric. Tip: Concrobium Mold Control will not discolor flooring, drywall or upholstery when applied. If you are worried about your possessions, test the product on an inconspicuous section first just to be sure. If you suspect mold is growing behind the walls, you must expose the moldy surface before treatment as the solution will not penetrate a solid barrier. Concrobium must make direct contact with mold to be effective. Remove the drywall or create/find an opening into which Concrobium Mold Control can be sprayed or fogged. Once you have access to the affected moldy area, spray Concrobium Mold Control in a thin, even layer over the surface. Allow to dry completely. As the solution dries it eliminates any existing mold and fungus and leaves behind a protective barrier. Once the mold has been eliminated, replace the affected drywall with new materials. Be sure to address any sources of moisture that caused the mold problem initially. Fogging Concrobium Mold Control is a great option for those damp, earthy-smelling basements. A cold-fogger, available for rent at select Home Depot Tool Rental Centre locations. The fogging machine mists the solution and coats all basement surfaces to eliminate mold and musty odors. For more details about fogging click here.